Eco-solvent, Solvent and UV. Monomeric vinyl is an ideal choice for short term or promotional use & point of sale display. Excellent high performance calendered polymeric vinyl containing long chain plasticicers less prone to shrinkage. A popular choice for mid to long term interior or exterior applications on flat or slightly curved surfaces, for use on Latex, Eco-Solvent, Solvent and UV. AiRFREE is LG Hausys’ easy apply, bubble free proprietary technology that utilises embossed patterns on the release liner for easier removal of trapped bubbles increasing efficiency & productivity during installation. With superior durability, printability and applicability, LG Window Films can help you maximise the effectiveness of your window advertisements by allowing you to be as creative as you want to be with your window designs and decorations. 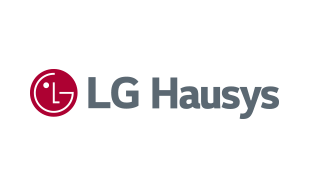 A line of specialty films for the signage industry has been created by LG Hausys, using technological and engineering know-how to offer an array of both functional and stylistic solutions. Opaque cast vinyl with LG Hausys AiRFREE G2 technology, a thinner, softer and easier to cut film, great for outdoor display, sign, exhibition stand, automotive advertising and vehicle wraps.